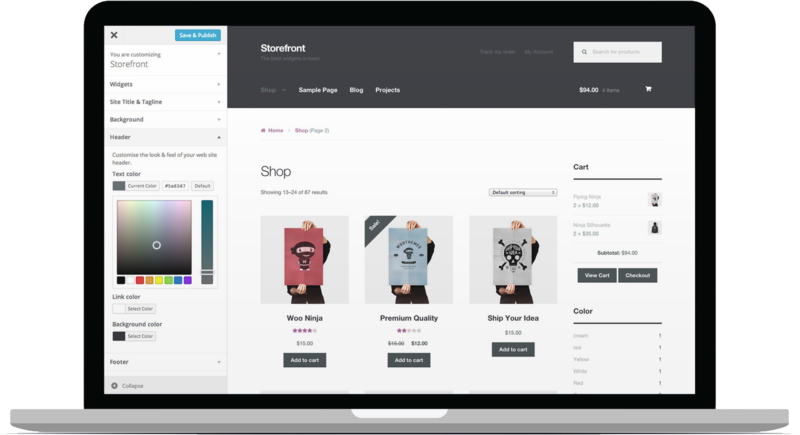 We appreciate your feedback about your support experience with WooCommerce, developers of Storefront Blog Customizer. This helps us maintain high standards on the WooMarketplace, and helps WooCommerce improve. Your blog is unique, its design should be too! Storefront is primarily a WooCommerce theme but that’s not to say that it cannot be used for standard blog/magazine web sites. The importance of an active blog with a large readership is an invaluable asset to any eCommerce website as well. 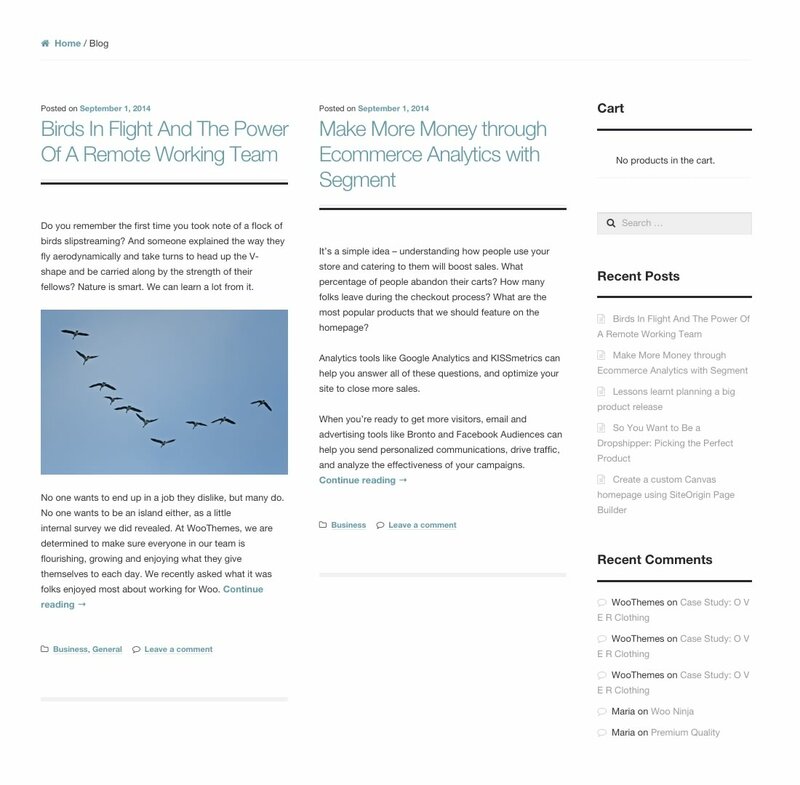 The Storefront Blog Customizer extension gives you the ability to give your blog a unique design that suits your content and to display blog content on your homepage. As the name suggests, this setting gives control over the your posts layout. You can specify whether you want the post meta (categories, tags, etc.) to be aligned to the left or right of your content, or beneath, or above it. There are merits to each design and the type of blog you run will dictate which is most appropriate. 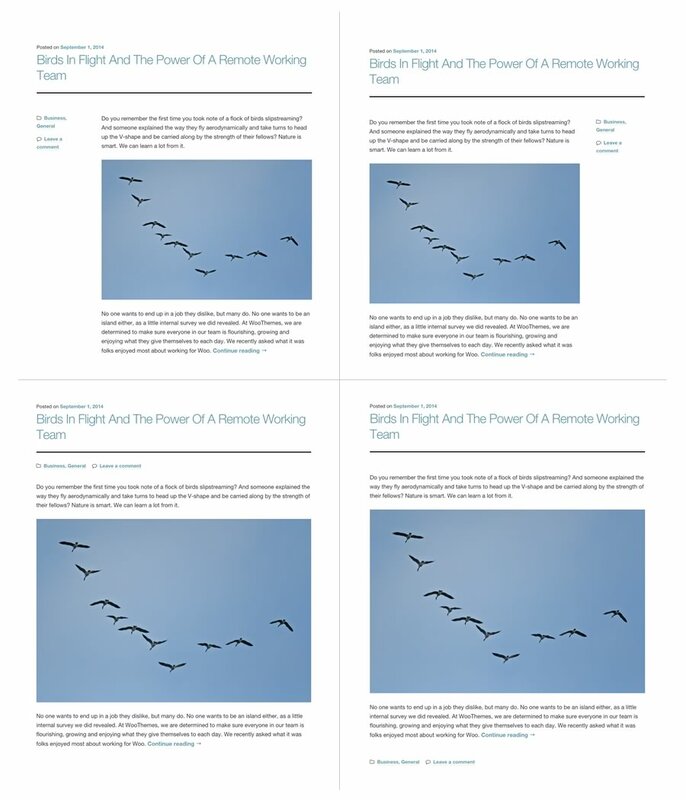 As you can see, a more image / gallery driven blog could work well with one of the ‘inline’ meta layouts as would a blog with fewer, or less focus on categorisation. You can apply a different post layout to blog archives, single blog posts, and the blog post component on your homepage. There are also options to specify that the post archives (tags, categories, etc.) are displayed in a full-width layout, hiding the sidebar. This can be applied to the single post pages as well should you decide that your blog simply doesn’t need a sidebar. This can work well and immerse visitors directly into your content which has no competition for attention. 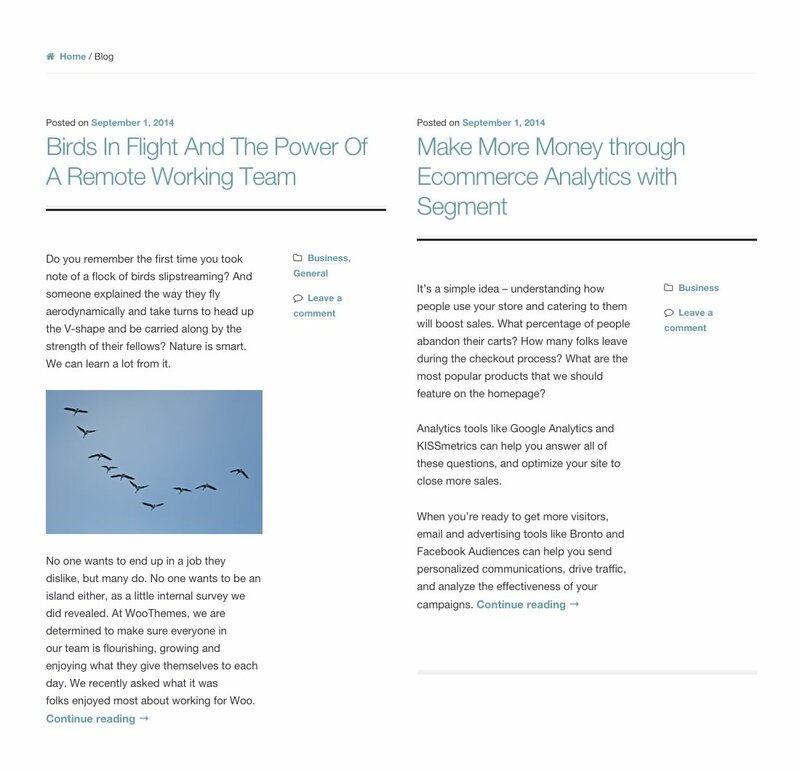 A popular layout on ‘Magazine’ web sites is to arrange blog posts into columns. This works well when there are frequent blog updates as it keeps content closer to the top of the page for longer. It can work equally well for blogs documenting a variety of subjects giving the visitor an interesting array of content as soon as the page loads. Magazine layout using the full width blog layout. The Storefront Blog Customizer also gives you the option to display recent blog posts on your homepage. Define the style of the posts as well as configuring how many to display in a 1, 2 or 3 column layout. All layout adjustments align to the Storefront grid ensuring all elements of your web sites line up aesthetically providing a seamless reading experience.